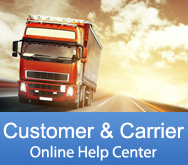 MegaCorp relies on carriers of many sizes to help deliver our client’s truckload shipments. Our leadership’s vision is to create a winning team of dedicated carriers and make them true partners so that they are also successful. 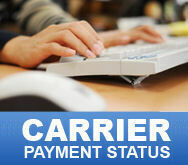 We are looking for carriers of all sizes to become our partners, but we only want those that maintain the highest service standards and that want to be successful by doing business the right way. 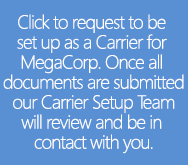 MegaCorp Lines is the asset-based division of the MegaCorp Companies and because we own our own equipment, we understand our client’s and carrier’s needs.